If you’ve given up meat for Lent, and are looking for delicious alternatives instead, we have the perfect dish for you to try. This Middle-Eastern inspired sharing platter, is the ideal meal to serve at any dinner party or as a tasty evening family meal. 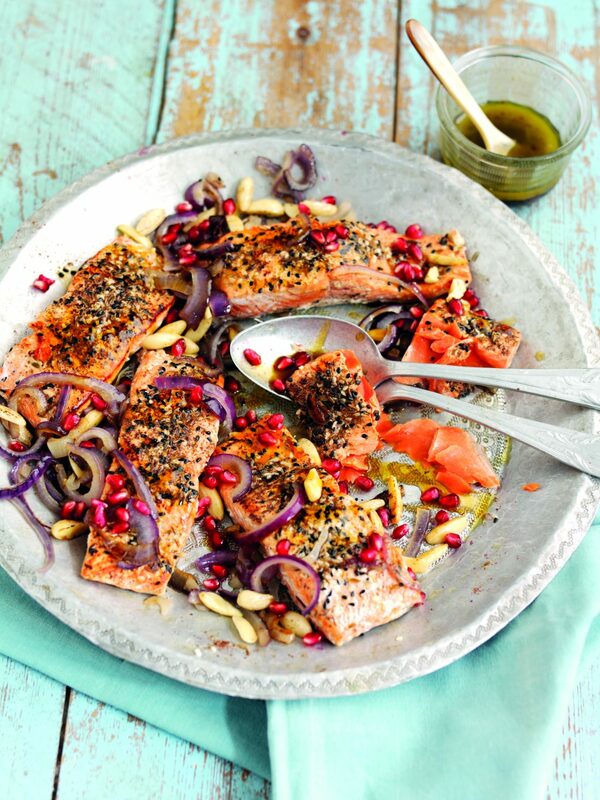 Made from wild Alaska salmon this dish is full of spice and bursting with flavour. Alaska salmon is not only flavoursome but is also full of important nutrients like omega 3 and packed with protein, making it an important staple in any diet. We’d love to see how you get on, so send in pics of your efforts to info@melanmag.com and we’ll feature on our social media. Heat two tbsp olive oil in a large frying pan and cook the red onions for 3-4 minutes until softened. Add the salmon fillets and cook on both sides for 3-4 minutes, adding the almonds for the final 2-3 minutes. Cook’s tip: Sumac is a tangy, lemony spice used frequently in Middle Eastern and Mediterranean cookery. Both sumac and pomegranate molasses can be bought from most major supermarkets. So, who rocked the hottest looks at the BRIT Awards 2018?